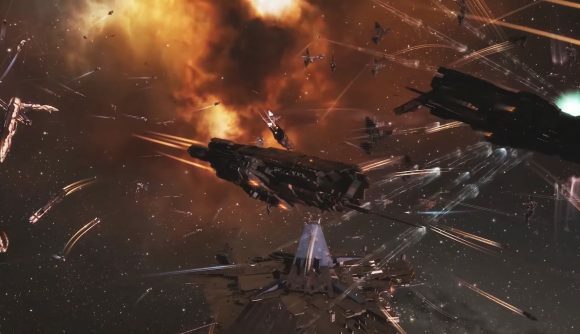 The stories of Eve Online are some of the most complex and exciting in all of PC gaming. The huge space-faring MMO is so bafflingly expansive that it sprawls beyond players’ screens, with stories of espionage and betrayal stretching far beyond official servers. It’s a daunting prospect, but thankfully developer CCP is here to help. In a new trailer released yesterday, and which you can check out below, the developer breaks down some of the game’s lore, from the empires which govern the world of the game to your character’s origins as a highly-trained pilot clone. Once you’ve settled in, it’s time to choose a ship, but with options ranging from tiny fighters all the way up to enormous warships – each of which is entirely customisable – there’s a chance that that can be a little easier said than done. Once you’ve decided, however, there’s plenty to specialise in thanks to skill training, a passive process which allows you to continue levelling up, even while you’re not actively logged into the game. From gathering resources to exploration to all-out warfare with thousands of pilots by your side, there’s plenty to do, and plenty to specialise in. You can check out the new trailer for yourself below. There’s plenty more to uncover within it, from a break-down of the complicated in-game market, ship-building, and the overall role of the community within the beating heart of the game. Eve Online might be a daunting prospect at times, but hopefully now it’s a little easier to comprehend.